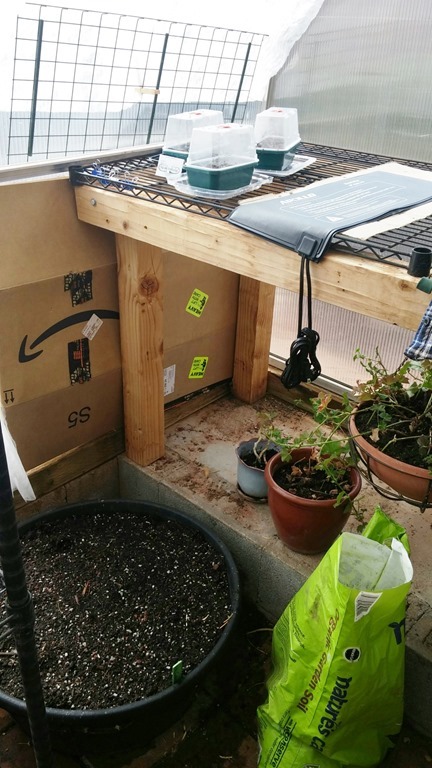 Finally, got the greenhouse cleaned up, pretty much got all the covers up, and got seeds stuck into dirt. this is the south wall. Far left I’ve planted peas. 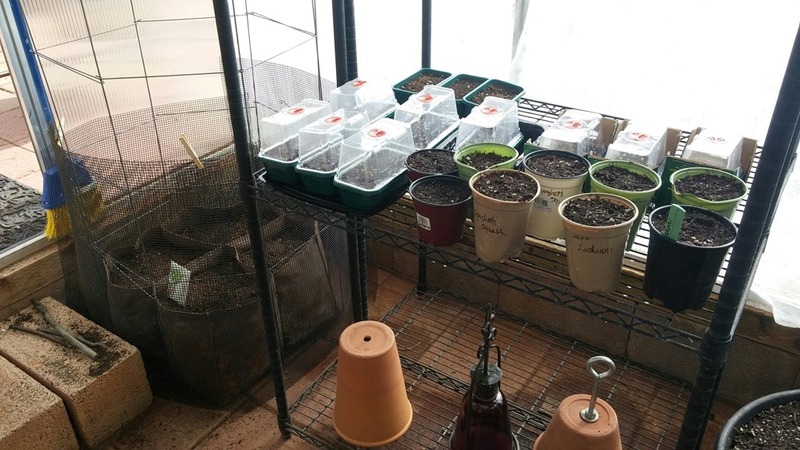 On the shelf are tomatoes, eggplants, calendula, CA white sage, Arnica, peppers in the new starter trays, and in the bigger pots are zucchini and spaghetti squash seeds. The pots now have a tray. On the bottom shelf are candle powered terra cotta heaters for just in case extra cold nights. Did go through my seeds this year. Had soo many that were from as far back as 2010. s I told the hubby, by the time I know whether or NOT they are viable, I’m past seed starting time! So they are going out for bird feed. And then realized had NO spinach seeds. Went to one store today and they didn’t either. But at this point, it will be for fall planting, so will continue to look. At least the box of seeds is manageable now! 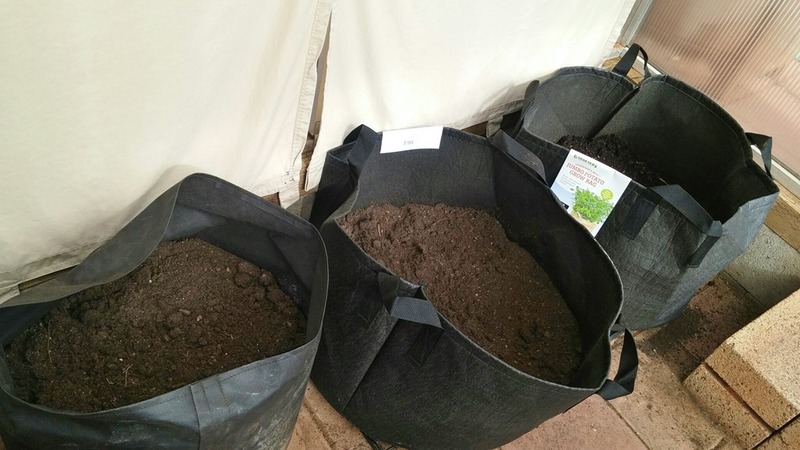 This entry was posted in chard, container gardening, gardening, greenhouse, grow bags, herbal healing, homesteading, legumes, organic, potatoes, prepping, preserving, self-reliance, squash, tomatoes, Uncategorized. Bookmark the permalink.